Nigel Farage With His Aid George Cottrell When He Was Arrested In Chicago on 21 criminal charges by the FBI! when reading this article there will be those who are sufficiently well informed of the antics of UKips leader (owner) in the past. Those who will be aware tjhat Nigel Farage was far from trustworth in the distant past when his Father, Guy Farage, a stock broker (professional gambler) and all too often hopeless drunk, sponsored his son and when Nigel Farage was fired by the French bank for whom he worked for unreliaqble behaviour and habitually returning late and the worse for drink after self indulgent lunches. Nigel and his brother also worked for a period for American owned Refco in London, that period was curtly curtailed when the directors of Refco were prosecuted for sharp practice and went to prison. I am unaware as to whether Nigel Farage has as yet settled his large debts accrued whilst working in the City! Though we did note that he set out to avoid British tax by opening a bank account in the Isle of Mann tax haven in the name ‘Farage Educational Trust’ and on one occasion deposited £1/4 Million into the account! Though he suibsequently lied to the media about the account! ‘Strange’ how Nigel Farage is so frequently alongside and deeply involved with criminals yet always manages to avoid arrest! Even on such matters as the debt incurred on his behalf of some £13,500 owed to me when Mark Croucher lost the Court case he brought CLICK HERE & HERE to try to bankrupt me and shut down the steady flow of facts about UKip and the low lifes and scoundrels in their ranks, which I publish on the internet. Nigel Farage has not even been charged for his vicarious involvement in criminal breeches of the Computer Act and burglary as admitted by John Ison in open Court etc. etc. etc. When one’s bag carrier is a criminal and your due dilligence has been incompetent you may well find your bags are at risk – one wonders just how embroilled Farage himself is in Cottrell’s criminality and what indiscresions Cottrell may have placed on the record on Farage’s, now confiscated, computer! It is interesting to note that having flown to America to attend the Republican Congress Nigel Farage failed to meet with Donald Trump which must be rather demeaning for him when you consider the meetings Nikki Sinclaire has had with both Hillary & Bill Clinton when on similar visits. Though to be fair Nikki Sinclaire does have both the experience and the skills to have been an asset and worked on various US election campaigns! One of Nigel Farage’s closest aides faces years in a US jail after allegedly being caught in an FBI sting. George Cottrell was arrested and led away in handcuffs as he and the former Ukip leader got off a flight in Chicago. Cottrell, who runs Mr Farage’s private office, is in custody awaiting trial on 21 charges including attempted extortion, money laundering and fraud. 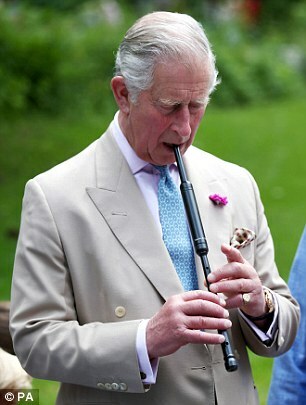 The 22-year-old, whose former glamour model mother once dated Prince Charles, is accused of offering to launder money for drug traffickers after advertising his services on the ‘dark web’ – websites that offer privacy because they cannot be traced and need special software to access, some of which are frequented by paedophiles, criminals, hackers and terrorists. But the ‘drug traffickers’ he is alleged to have dealt with were undercover FBI agents. Cottrell, grandson of late Yorkshire landowner Lord Manton, was arrested last month as he and Mr Farage were returning from a series of engagements at the Republican Convention in Cleveland, Ohio. A trusted member of Mr Farage’s inner circle, Cottrell had just agreed to take on a permanent role organising the Ukip MEP’s diary and dealing with media inquiries. His email accounts, which include details of many of Mr Farage’s day-to-day arrangements, have been frozen. Court documents filed in the US allege that Cottrell was offering money laundering services on the dark web using the alias ‘Bill’. When contacted in 2014 by FBI agents pretending to be drug traffickers, he promised to launder their cash for a fee in ‘complete anonymity and security’ through his offshore accounts, the documents claim. Following a meeting with the undercover agents in Las Vegas, Cottrell arranged for them to send him £15,500, which he planned to pocket, the indictment alleges. He is alleged to have then attempted to blackmail the ‘drug traffickers’ by demanding £62,000 in the form of bitcoin – a virtual online payment system – saying he would alert the authorities if they refused. Cottrell was believed by associates to be worth £250million through a family trust fund and had been working for Mr Farage for free. A trusted member of Nigel Farage’s inner circle, Cottrell had just agreed to take on a permanent role organising the Ukip MEP’s diary and dealing with media inquiries. But the court documents claim he had a ‘serious, years-long gambling problem, which inherently suggests a strong possibility of irrational risk taking’. The US District Court in Illinois remanded Cottrell in custody while criminal proceedings continue, ruling that he posed a ‘serious flight risk’. The detention order filed in the court said that Cottrell had recently changed his name, which he claimed was to distance himself from previous involvement in political activities in the UK, an explanation the court did not find ‘credible’. Cottrell also claimed he lived with his parents near Evesham, Worcestershire, despite being listed as living at a £2.5million flat in Kensington, West London. 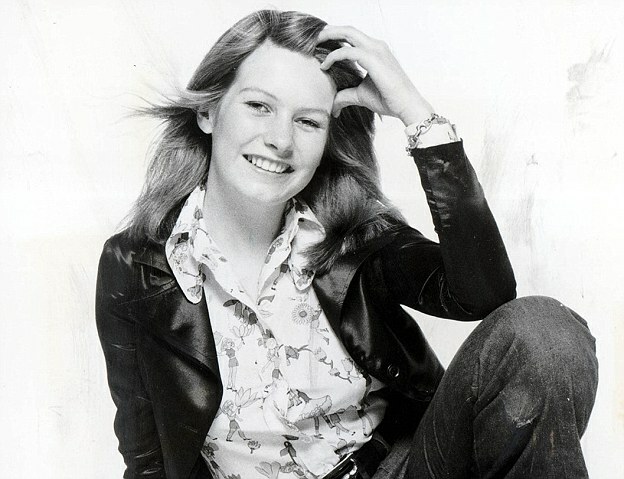 His mother, Fiona Cottrell, was the Penthouse ‘pet of the month’ in October 1973, under the pseudonym Frances Cannon, describing herself as ‘daughter of a landowner’. The images were reprinted in the magazine in 1977 after she was linked romantically to Prince Charles. Cottrell’s uncle is Lord Hesketh, a colourful hereditary peer who set up a Formula One team in the 1970s and was a Tory minister under Baroness Thatcher. A former Conservative Party treasurer, he defected to Ukip in 2011. Cottrell was expelled from the exclusive Malvern College before sitting his A-levels. He did not complete his education, deciding to go straight into what he has described as ‘private banking’. His arrest came three weeks after the Brexit victory in the EU referendum, as he accompanied Mr Farage to talk to US media about Brexit. They flew from London Heathrow to Chicago’s O’Hare airport, from where they had a connecting flight to Cleveland. As they arrived in the US, Cottrell was briefly detained by customs officers in Chicago in what appeared to be a routine check before being allowed to continue his journey. He and Mr Farage spent three days at the Republican Convention, where they had a packed schedule of television appearances and meetings with US senators as well as discussions with aides to presidential candidate Donald Trump. It now appears that Cottrell was being watched by FBI officers throughout the trip. 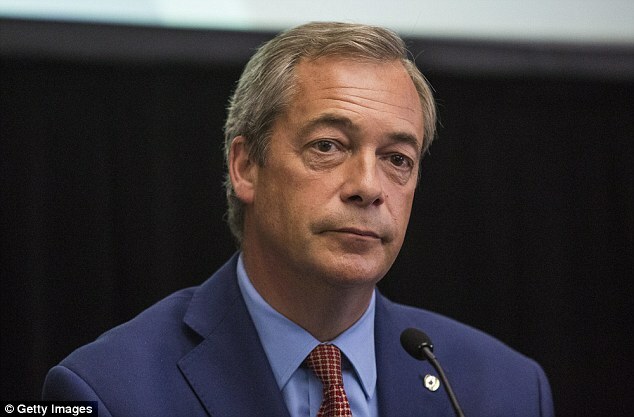 To Mr Farage’s shock, five FBI officers were waiting to meet Cottrell as they disembarked from their return flight from Cleveland to Chicago O’Hare on July 22, en route to Heathrow. The distressed former Ukip leader – who knew nothing of his aide’s alleged illegal activities – was given no information about Cottrell’s arrest, and was forced to return to London without him. The FBI has frozen all Cottrell’s email accounts, leaving Mr Farage without access to his electronic diary. Four days after he was seized, Cottrell appeared briefly in court in Chicago. An FBI spokesman in Ohio confirmed that George Swinten Cottrell was arrested on July 22 and was due to be extradited to Phoenix, Arizona. A Ukip spokesman said: ‘George was an unpaid and enthusiastic volunteer for the party over the period of the referendum. Friends of George Cottrell say he has always wanted to make something of his life – and that he was determined any success would be through his own efforts and not because of who he was. Not that he was beyond a bit of name-dropping when the occasion demanded. He claimed, for instance, that his godfather was the secretive billionaire currency trader Joe Lewis, owner of Tottenham Hotspur Football Club, and suggested that he was the beneficiary of a £250million family trust fund. Separating fact from fiction, however, is a different matter. For young George likes to construct an air of mystery around his activities and indeed his background. Unlike most young men of his age he has no social media profile. Nor does he upload pictures of his private life or of his friends. He claims that he was used to handling large sums of money because as a 12-year old his ‘Irish’ racing uncles regularly despatched him to the bookies with bundles of notes as they drank in bars on the racetracks. But who might these Irish kinsmen be? For Cottrell’s mother Fiona, who once bared all for adult magazine Penthouse and was pursued by a youthful Prince Charles, is the daughter of soap tycoon and Yorkshire landowner Lord Manton. George’s father Mark is a former bobsleigh competitor who dreamed of representing Britain in the Olympic Games and went to Gordonstoun, where he was a contemporary of Prince Andrew. One of George’s uncles is the colourful former Tory grandee and one-time treasurer Lord Hesketh, who famously defected to Ukip in 2011. Alexander Hesketh, who set up a Formula One racing team recruiting James Hunt in the 1970s and who is married to Fiona’s older sister Claire, did, however, once own a racecourse – Towcester in Northamptonshire. But it was sold along with everything else when he was forced to flog off the family’s nearby baroque stately home, Easton Neston in 2005. Contacted at the family home near Evesham, Worcestershire, yesterday George’s 62-year-old mother said: ‘I never speak to the newspapers,’ and hung up. She was not always so reticent. In 1974 she was draped naked, apart from a pink necklace, displaying her 38-23-35 figure across 11 pages of Penthouse. That might have been the end of the matter had Fiona not, some three years later, attracted the admiring eye of the Prince of Wales after meeting at a weekend house party when he was on a flying course at RAF Cranwell in Lincolnshire. Alas his ‘cautious and careful’ approach in attempting to woo her was his downfall. Fiona was not the kind to sit waiting for the phone to ring. When he finally did, she thought it was a prank and told him she already had a date with Mark Cottrell, whom she went on to marry in 1978. 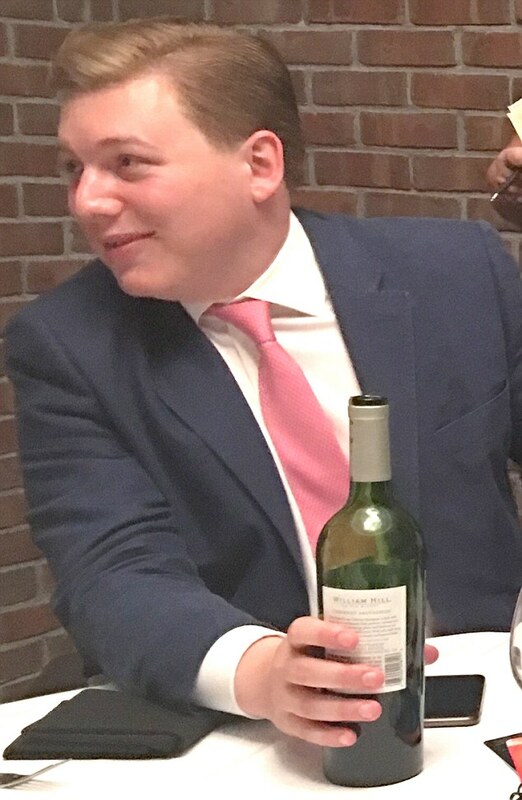 With his uncle’s political connections, it was perhaps no surprise that the stocky George, who has a sister Laura, 28, should find himself offering his services to then Ukip leader Nigel Farage. At the time of his arrest last month he had just agreed to take on a permanent role organising Mr Farage’s diary and dealing with media inquiries. He had been working for him for free. Mr Farage, who likes to take troubled types under his wing, felt that working for the party gave the young man a purpose he otherwise lacked. ‘They had done their due diligence on George before agreeing to hire him and found nothing to worry about,’ assured an insider. Last night that reassurance was looking rather hollow. This entry was posted on 12/08/2016 at 23:33	and is filed under EU, EUkip, UKIP. Tagged: Farage Aid Arrested, FBI Arrest, Feorge Cottrell, Fiona Cottrell, GL-W, Greg Lance-Watkins, Greg_L-W, John Ison, Lord HESKETH, Mar Croucher, Nigel Farage, Nikki Sinclaire, REFCO, UKipper's Arrest, UKipper's Extortion, UKipper's Fraud, UKippr's Money Laundering. You can follow any responses to this entry through the RSS 2.0 feed. You can leave a response, or trackback from your own site.